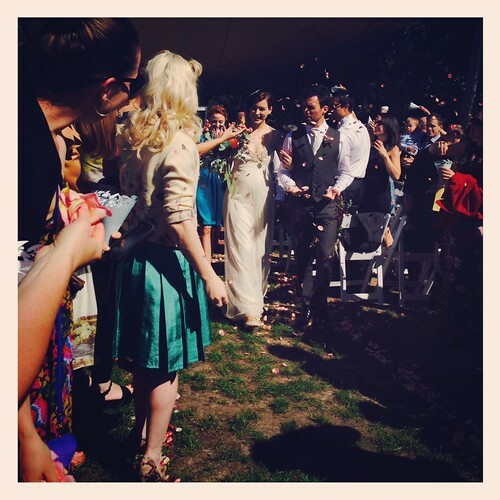 At the weekend Leisl and I had the pleasure of attending the wedding of our beautiful friend Lara from Ink & Spindle to her husband Dave. She looked radiant in a beautiful Gwendolynne dress. Of course being invited to such a wonderfully important event it was essential that we make our own fabulous frocks. 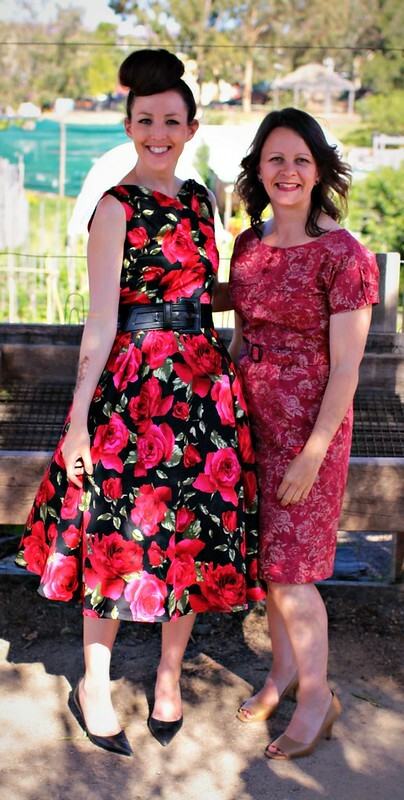 Leisl made up her amazing roses dress using a retro Butterick pattern 6582 and a stretch cotton sateen from Rathdowne Fabrics and Remnants. 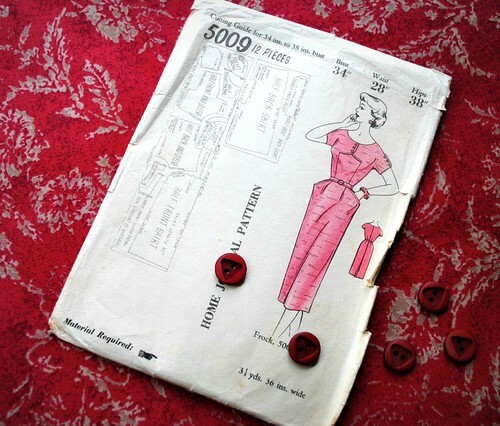 I made up this vintage Home Journal pattern from the 50's that I have had sitting in my pattern stash for a few years. I used a cotton with a small amount of stretch from The Fabric Store and vintage buttons from my favourite button shop Buttonmania. 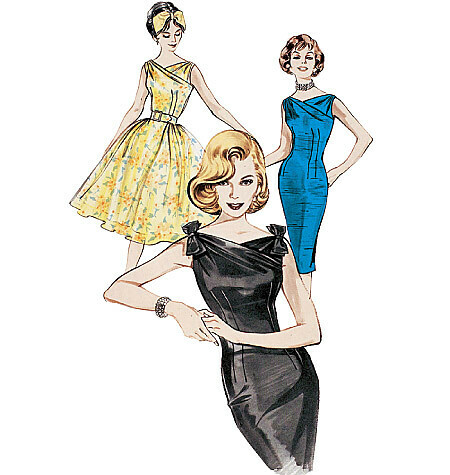 You will find more details about our dresses up on the project page soon and tomorrow I will be talking about sewing with vintage patterns. Have you made a special dress recently? Tell us about it!